An essay has become an obligatory part of the academics routine, which is not always an easy task to do. It is the top most writing assignment that professors give to students in any school level to develop skills of writing, researching and comprehending. But do you like the way you do it? Do you write it on your own or buy essay, economizing your time, creativity and energy? If you don’t waste any opportunity to make up your essay, here are some pieces of advice on how to do your essay better avoiding the most common mistakes. That is one of the most common mistakes every student makes. Choose topics you are comfortable with and when you feel it is quite interesting for you. Be sure you can do an effective research and write an essay with real inspiration and curiosity for a quite short period. Don’t lose the time writing on topics you have very little knowledge. Be confident you are somehow familiar with the theme. 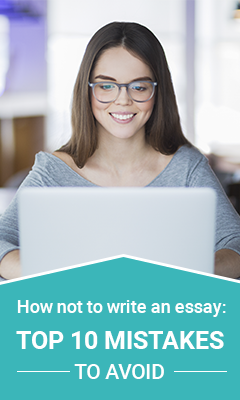 Neglecting to add this statement in the introduction – the most captivating part of the essay is a common mistake as it is an important part not only of the introduction but the whole essay. If you do not put the main idea into the statement of your essay, you are weak to elucidate the readers the purpose of your writing. Keep in mind the basic essay structure: make a proper introduction, 2-3 paragraphs where you dwell upon the matter you are writing on and give a powerful conclusion. Don’t be obsessed with a style in damage to the body of your essay and don’t limit the value of your ideas neglecting the order of expressions the opinion. In order not to mess up everything you want to express, make up an essay outline first. Use only reliable sources with authoritative texts and peer-reviewed journals. Do not trust the facts which demand additional improvement and stay far from using them for your works. You may ask your teacher to give you examples of some reliable sources. They will add much to the credibility of your essay. Although some people say that spelling errors do not reflect your actual knowledge of grammar, be extremely attentive while writing the essay. Don’t trust software checkers much and if you are doubtful about a word spelling, just check it with a dictionary. Don’t neglect to proofread the final version of your essay – it will save you from aimless loss of the points for the essay. Use transitions between the new paragraphs, highlighting separate opinions in such a way. Be sure your transition is going smoothly after the previous paragraph. Do not forget to use the phrases that link your sentences. If you want to write a good essay, mind the grammar structure of your sentences. Passive structures are harder to read as they are objective in contrast to active voice that always makes your text more readable. Be careful with the length of your sentences – do not confuse yourself writing long sentences. By the way, stay in the balance both between active and passive voice, short and long sentences. If your sentence is full of unnecessary words while expressing its meaning, such sentence is considered to be wordy. Analyze whether long phrases in your text can be replaced with a single word. Read out your essay once more time and exclude some weak words with similar meaning as well as nonessential information. Don’t make such a mistake giving your essay a generic title. The title should not only appeal the reader’s attention but also reflects the content of your essay. If your title has nothing in common with the theme even, it will not leave any good impression. No respectable teacher can stand cheating. Paraphrase the idea you use from other sources properly and never use someone’s quotation as yours. Moreover, today’s progressive technology makes it easier to identify plagiarism. After viewing this checklist of the most common mistakes you will become more advanced self-editor in essay writing. Take note that every essay is not just a task, but an opportunity to broaden your knowledge and develop your skills.